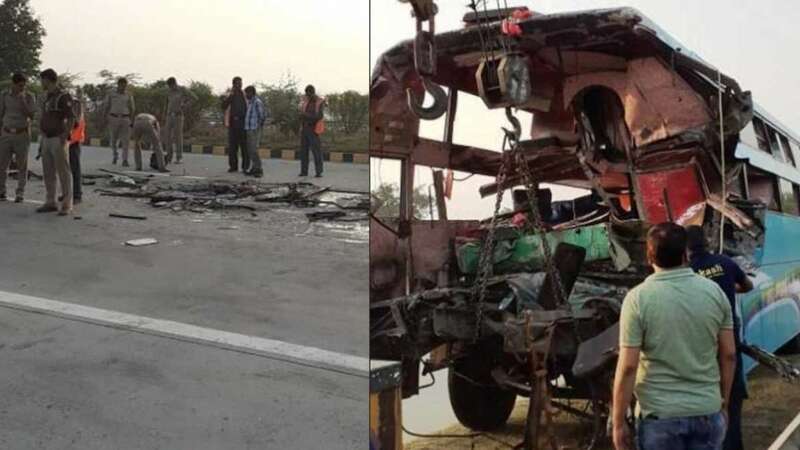 Agra : At least 8 people were killed and over 30 suffered injuries after a tourist bus rammed a truck on the Yamuna Expressway in Greater Noida. As per initial reports, the bus was returning from Agra when it met with an accident around 5AM; brake fail is being suspected as the reason of accident. The injured passengers have been shifted to a nearby hospital while the dead bodies have been sent for the post mortem.